With Elementor Pro Theme Builder functionality support you can tweak theme header, footer, pages, posts, archives and 404 error page layouts to your needs easily! There is nothing more important than your content. And it deserves a beautiful display! Reykjavik WordPress theme makes your website content more readable and presents it in a slick, modern style. The theme looks beautiful out of the box and puts everything you need at your fingertips to ensure you get a beautiful website quickly and easily and with no coding required. And all of this completely for free! 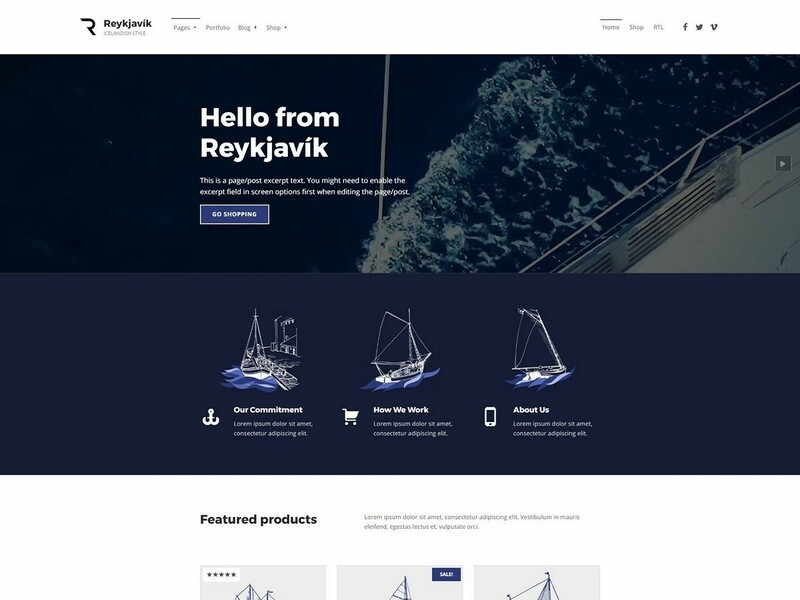 If you want a fast loading, accessible, SEO and mobile devices optimized free WordPress theme, then have a look at the demo and see for yourself why Reykjavik is the WordPress theme you have been looking for! Any page builder compatible: Beaver Builder, Elementor, Page Builder by SiteOrigin, Visual Composer,… Use whichever you prefer.